Points awarded for the rest of the events will be as noted in scoring post. 5.) Oct.?? Alan /132 Rwy OR??? Hosts please post in this format... just cut and paste this into you post with 1-2 pics of your track. Last edited by HarVWallbanger; 08-15-2013, 01:52 PM. Lane spacing: 4 inches, with 5 inch outer gutters and 3 inch inner gutters. We ran the Trucks here last year, it was fun and I am sure everyone will want to come back and do it again. Bernie Ecclestone is negotiating on behalf of BFR....not sure Barney can afford the fees! Working on it....Barn is concerned about two of my turns and, how the trucks might handle them! Ahhhh!! I think he did mention that to me one time. Gonna test yours on it aren't ya. Last edited by HarVWallbanger; 08-08-2013, 01:49 PM. After running on pukplyr's (David) Big Fish Rwy I think we will add this to our series. I ran my Mercedes and Sisus of mine and David's on the tight lane and they worked great. Fast trucks will be in the 4.5-4.6's on this new track! I added My setup track as a Autocross event so we have 10 races now. 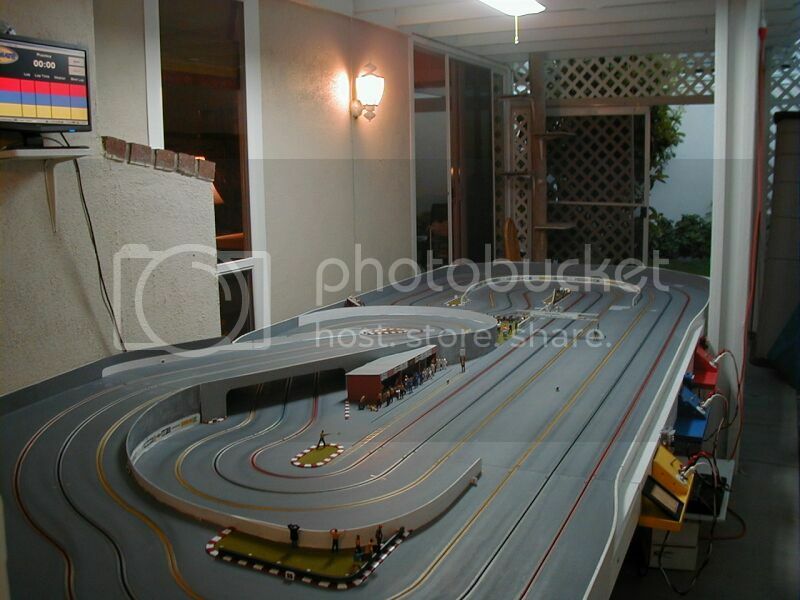 I will run a 25 lap for best time in each class with fast lap the tie breaker if needed. 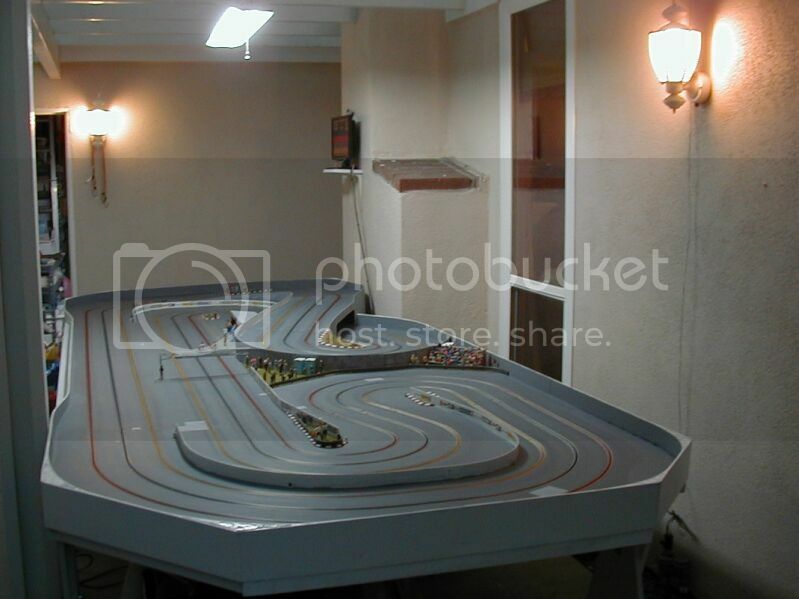 I do not have a "home track" and The Amoeba is very short right left transition track I use to dial in cars/ trucks. I may run it in both directions and add the times for winner in each class. It will be ran before the first race at The Stone and Craig and I may record it to Youtube.... more later. The walls will be up! Last edited by HarVWallbanger; 08-15-2013, 10:31 AM. 5.) Oct.?? 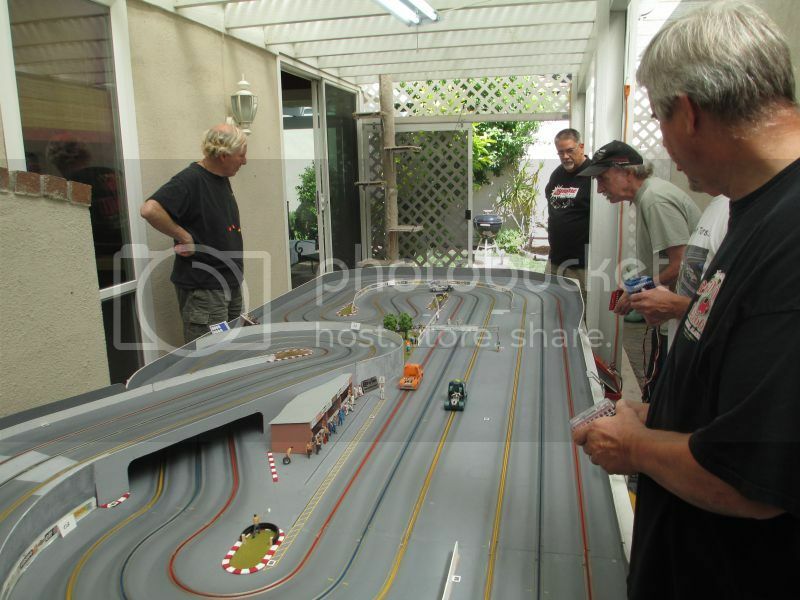 Alan/ ScaleRacing 132 Raceway (wood) OR??? Last edited by HarVWallbanger; 08-15-2013, 09:01 PM. 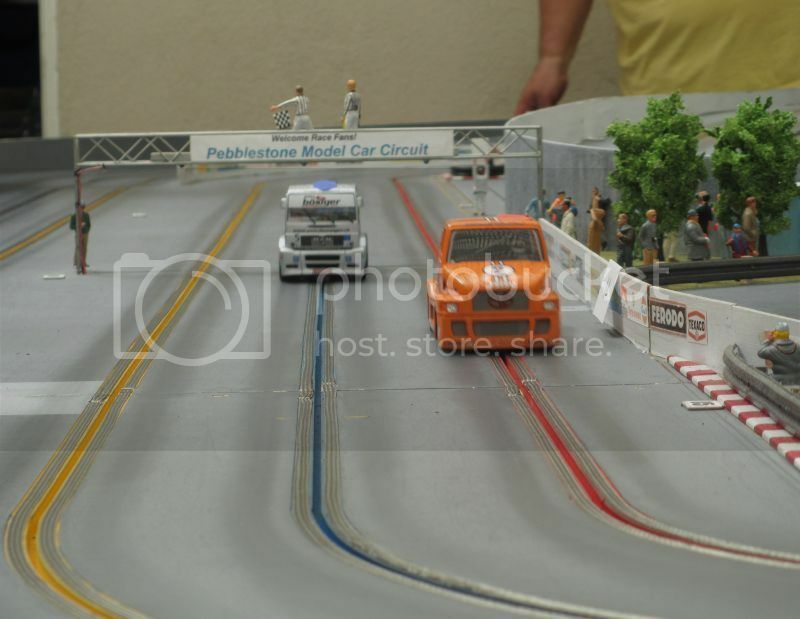 See updated list as Austin Slot Car Club has a free Sat Sept 28 so they will get the late Sept race and I'll see when Alan can do his at 132 Rwy. Last edited by HarVWallbanger; 08-29-2013, 04:13 PM.